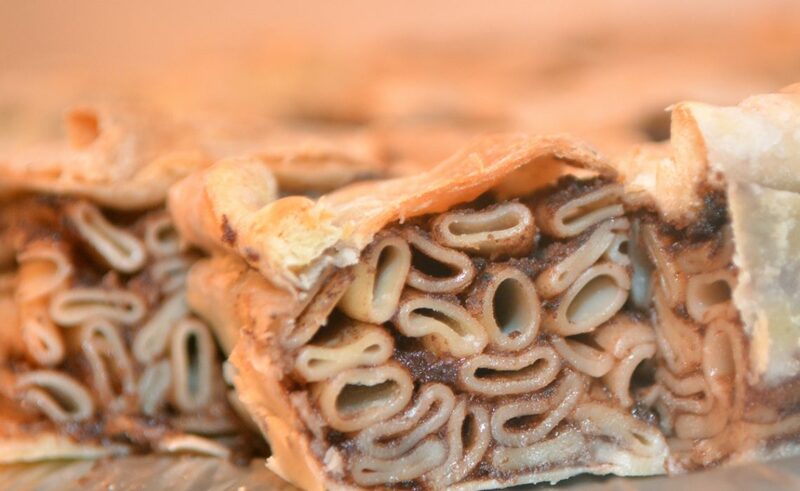 This cake is a regular on dining tables on the Pelješac peninsula whenever there is a celebration. Hailing from the walled town of Ston this recipe is sure to delight with its taste of Dalmatia and unusual appearance. Cook the maccaroni pasta and remove from the water and drain. When the pasta has cooled, coat with olive oil, lemon juice and rum. 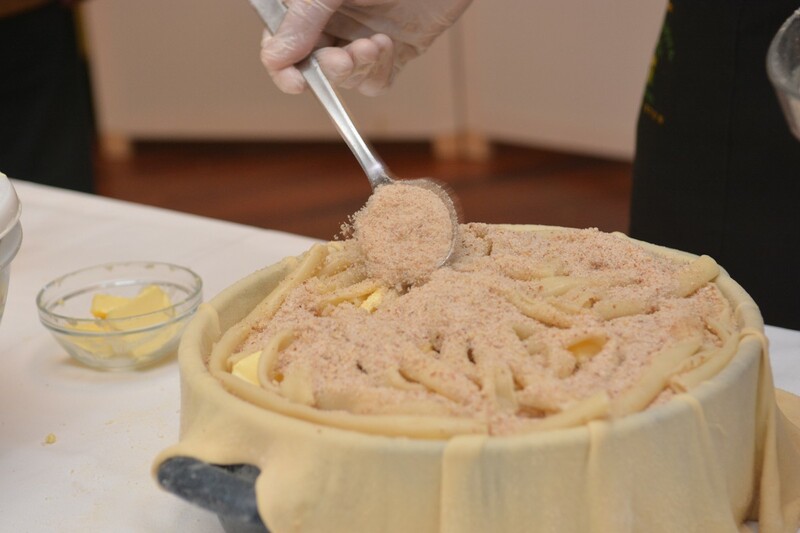 Mix together the flour, olive oil, salt and eggs to make the cake dough and allow to rest for at least half an hour. Take the dough and roll out thinly with a rolling pin. Grease the cake tin with oil and flour and then carefully place the dough inside making sure there is around 10 cm hanging over the sides. Mix together the grated chocolate, ground almond and walnut adding the sugar, vanilla sugar, cinnamon and lemon rind. Pour a layer of the mix along the base and then top with a layer of maccaroni pasta. Then coat with some of the beaten eggs and pieces of butter. Repeat this process until you have used up all of the mixes. Using the excess dough hanging over the edge of the tin, cover the top of the cake. Gently press the dough to level out the mix inside. Coat with butter and place in a pre-heated oven at 180 degrees. Cook for 45 minutes. When the cake has cooled, turn the tin over so the bottom becomes the top and remove from the tin. We Present You Artichokes ‘a la Dubrovnik’!